Birthed as a vision of Por-Shih Lin, Chairman of Shihlien Chemical Industrial (Jiangsu) Co. Ltd. – the Building on the Water is a 11 000 sqm office complex that “floats” on the 100 000 sqm artificial lake of the industrial park. 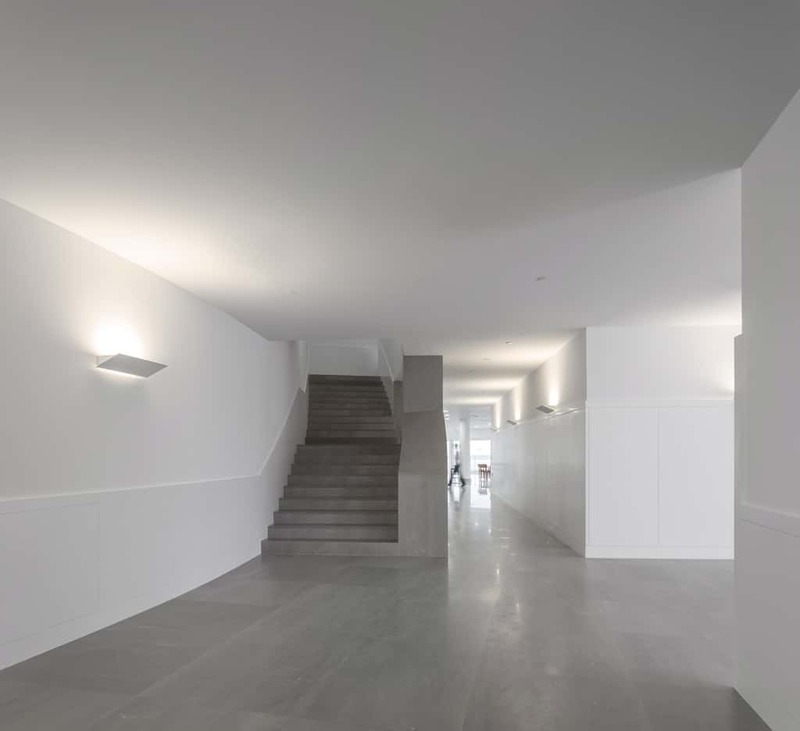 Álvaro Siza, the 1992 Pritzker Prize laureate, was hand-picked to head the creation of a building that best represented the forward-looking innovations of the company and in so doing create a world-class precedent in industrial design. What resulted was a flowing undulating horse-shoe form that hovers over the most important manufacturing element of glass – water. Located in the Jiangsu Province of China within the New Salt Industrial Park of Huai’An city, the Shihlien Chemical Industrial Company is one of the largest soda ash and ammonium chloride production plant in the world. Covering an area of more than 2 000 000 sqm the plant is renowned for application of some of the world’s advanced manufacturing technologies and processes. It is on this backdrop that Álvaro Siza paired up with Carlos Castanheira to create this concrete edifice. 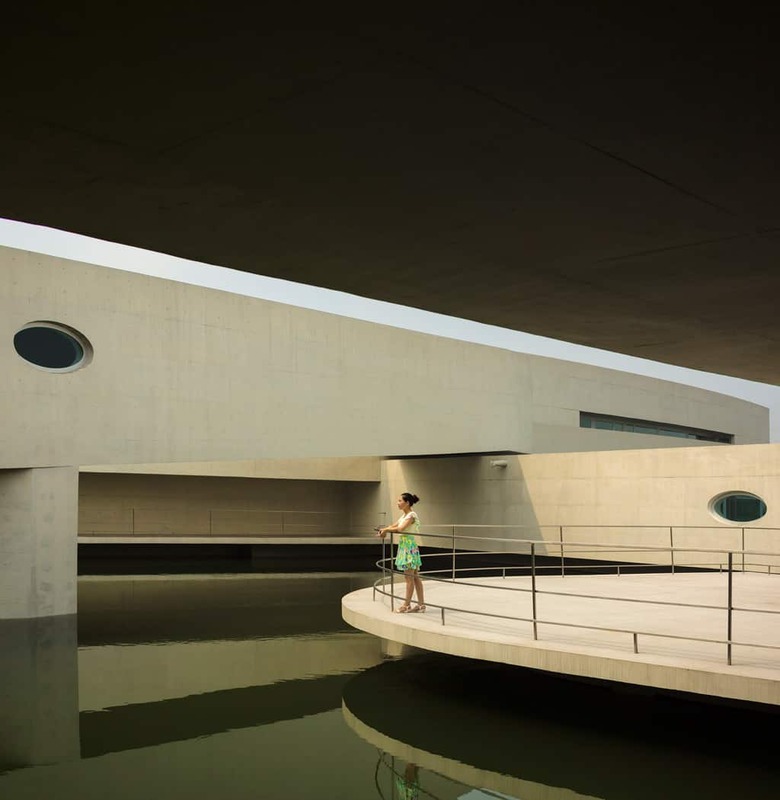 As with all buildings by Siza, the Building on the Water expresses a meticulous application of building materials. The building is a symphony of white concrete and glass. A deliberate effort can be read in the design team’s attempt to come up with an object of sheer clarity and functional objectivity. Two vast bridges connect the built island to the industrial park. And despite concrete being heavy on the eye, the use of plates to denote levels and a well defined flowing form, present the material in a fluid and almost sensual way. Borrowing from Chinese mythology, the design evokes a setting of life-size dragon that is brooding over water. There is a clear contrast between the elegant contours of the building and the orthogonal and linear forms of the buildings on the industrial park. Linear bridges that connect either sides of the flowing horseshoe form act as a suitable architectural counterpoint. The setting is poetic and the play of light and shadow transform what would have been a banal building into something worth considering. But perhaps the most fascinating feature of the Building on the Water is how its complexion is in a state of constant flux due to the changing hues of sunshine and the reflection on the water. Client: Shihlien Chemical Industrial (Jiangsu) Co. Ltd.